Yesterday I gave my ProjectWise training, which wasn’t quite your typical class (I guess nothing about this assignment is typical). It was a condensed class (3 days into 1) held in a small building, not far from the engineering office we are working from. The morning session was briefly interrupted by an incredibly loud boom, slightly rattling the little office building. One of the USACE guys in the training immediately yelled “bomb – get to the shelter”. My heart stopped for split second as we hustled (5 users and me) out to the nearest bunker (there are at least 5 of them that I have seen). We stayed inside the bunker for just a few seconds when someone came over and told us that wasn’t a bomb. It was a piece of equipment being installed on the roof near the training room that fell to the ground. We all had a laugh and felt a little silly, but we were told that that was what a bomb would sound like. Anyway, training went well. I have mentioned in other posts that we sometimes travel between bases to visit the PX. 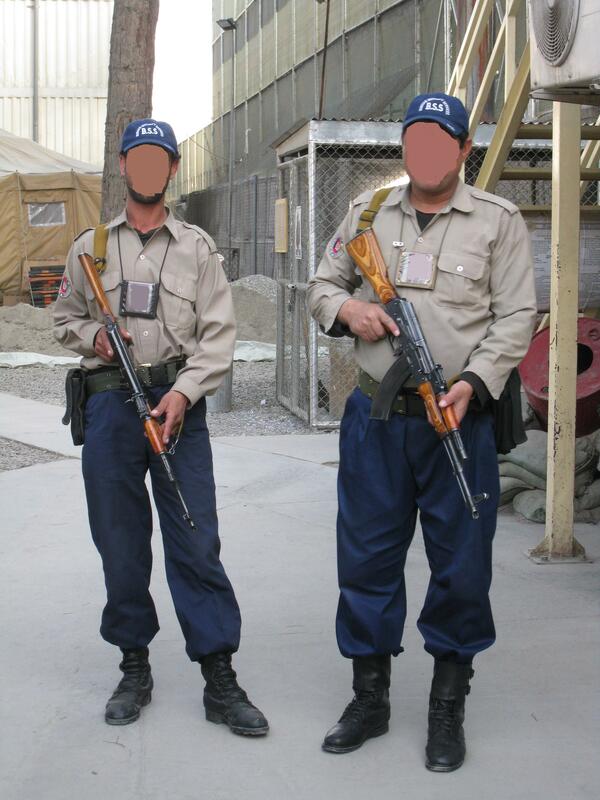 There are two sites here in Kabul. The site I am at, where we work and sleep at, which is called ‘Qalaa House’. It is what used to be the Iraqi Embassy and has become the offices and home of the Corps of Engineers’ Afghanistan Engineer District. The name Qalaa House means “fortress house”. Across the street from Qalaa House is Camp Eggers. It is a military base located near the US Embassy and is home to over 1600 military and civilians. The camp is named after Capt. Daniel W. Eggers, a US soldier who was killed by an IED in May, 2004 near Kandahar. 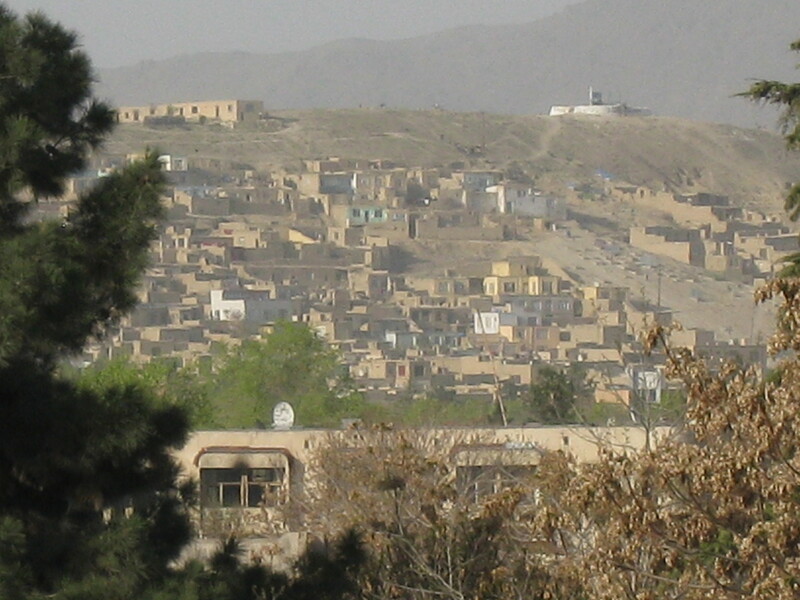 Qalaa House and Camp Eggers are separated by a road that is open to Afghan traffic, both vehicle and pedestrian. So if we want to move between the two sites, we must don our full body amor (which weighs close to 40lbs.) and helmet and require armed escorts to cross the street. I am not allowed to take pictures of the gates crossing the street, but once across, you can see how the camp walls are reinforced (click photos below – BTW, it has been recommended that I distort faces). W leave tomorrow for Kandahar Airfield, which is large Air Force base home to 20,000 US and NATO forces. At first it was mainly occupied by the US armed forces, but since 2006 the airfield has been maintained by the Canadian forces (it allegedly has its own ice rink…I should have brought my hockey gear!). 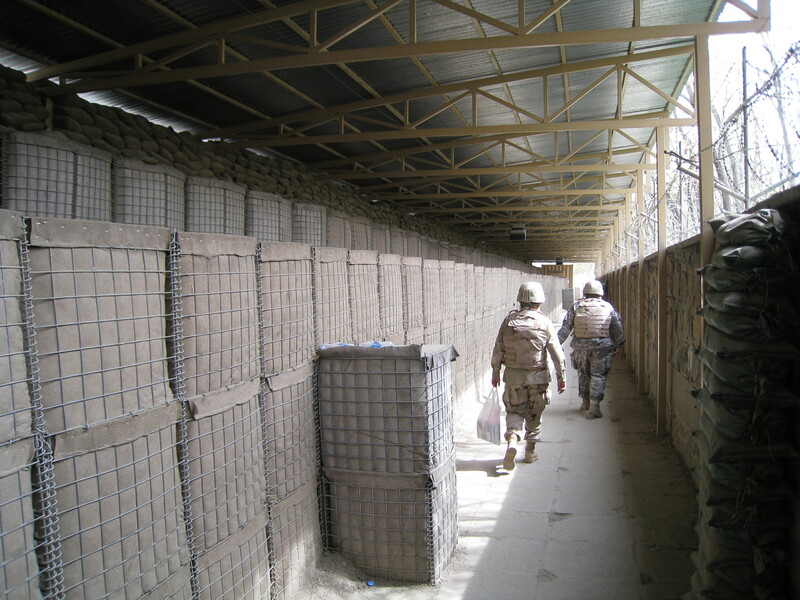 I am told that Kandahar Airfield is much larger and more open than either Qalaa House and Camp Eggers, which are surrounded by high concrete walls, giving you a bit of a claustrophobic feeling. In fact, the only real ‘view’ I have found is from atop the engineering building that I am working from. Click the photo below for an indication of the living conditions in Kabul. 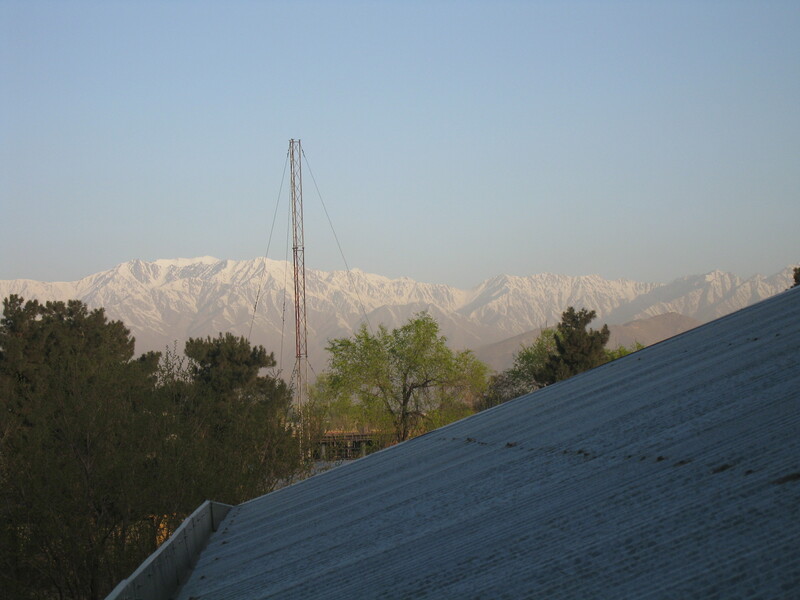 Yet, Afghanistan can be somewhat picturesque. Click on the photo below, which is taken from the same spot as the one above, only looking west (above photo is looking north). My next post should be from Kandahar, assuming that our military flight out of Kabul does not get bumped. Stay SAFE Bill… GO PROJECTWISE GO!!! !